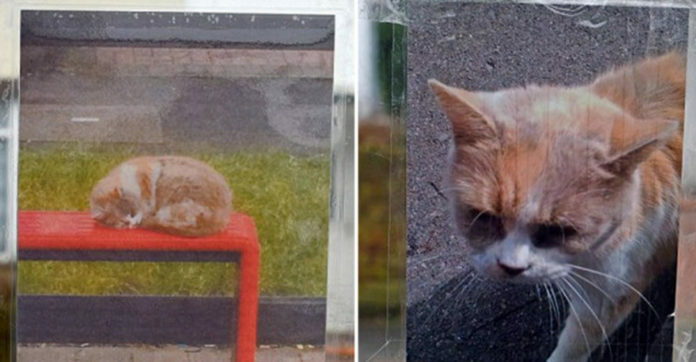 A friendly bus stop cat named Missy used to greet bus passengers when they are on the way back home or to work. Unfortunately, they will no longer see Missy anymore. Missy was kicked like a football by a gang of thugs, causing her death. Missy was only 13 years old and greatly missed. Her owners eventually found Missy and had to euthanize her as she had a fracture in her skull and had her jaw broken. People who knew Missy or heard her sad story left flowers and messages in a tribute to her. RIP Missy.